VIT-AP School of Business (VSB) was established in the year 2017 and is situated in Amravathi, Andhra Pradesh. VIT School of Business is affiliated to VIT University, Andhra Pradesh. VIT-AP offers distinctive education through its undergraduate, postgraduate and Ph.D. programmes. The teaching-learning process at the institute strives to prepare students for the future. Students are pro-actively in the process of applied learning with the help of experienced faculty who enable the students to channelize their talent and intellect to contribute effectively towards the development and sustainability of society. With an emphasis on innovation and applying technology to improve life. VIT-AP School of Business (VSB) is launched with the vision of preparing future leaders of India to face the emerging crisis-opportunities. With management knowledge and leadership being integral parts of the modern age, VSB programs are designed to enhance leadership competencies, social and ecological sensitivity and systems thinking of the participants. VSB Admissions are solely on merit-based followed by Management test and personal Interview. VSB believes that every manager should be strongly grounded in the fundamentals of management; thus, the BBA program is designed to provide breadth and suitable depth with a well-designed curriculum built on the liberal education foundation with exposure to Engineering & Technology. The management courses provide the necessary knowledge and competencies in management functions. These prepare the students to be global managers who take contextually sensitive decisions integrating human needs, technology and ecology, to impact organizations, communities and society. Business Analytics is one of fast-growing areas where there is a great demand for competent professionals across the globe. Students opting for business analytics specialization go through a series of technical courses in addition to the regular BBA courses, which will prepare them for a global career. Students will have the option to take advance courses in functional analytics such as marketing analytics, financial analytics, HR analytics, supply chain analytics, etc as well as verticals such as retail analytics, hospitality analytics, banking analytics, etc. Students who pursue BBA programs have a wide variety of career choices based on the degree, specialization and participation in the international transfer program. The students can either join their family business on their own or they can pursue higher management courses by taking CAT/CMAT. Incubation support would be provided by VIT-AP for those who want to start their own business. Having a strong network relationship with recruiters that VIT-AP has can help their students to work as a management trainee in large Indian organizations across sectors. There are roles such as analytics, business development, consulting, corporate finance, general management, HR, sales and marketing, and supply chain management. The sectors which may be of interest to the students are automobiles, banking and financial services, consumer durables, e-commerce, FMCG, health, hospitality & tourism, insurance, IT/ITES, pharma and retail etc for BBA students to pursue their career. 2+2 for BBA form UMD - students can leverage the international degrees to start a global career transcending boundaries of all kind. 2+2 for BS in Business Data Analytics from US University (MoU in the process) – since the BS program is designated as STEM, students will get an opportunity for OPT (Optional Practical Training) and stay in the US for three years for undergoing practical training getting the degree. The library is equipped with reading halls, digital library, a reference hall, discussion rooms and newspaper section that seats four hundred students at a time. The Library is committed for the fulfilment of the academic curiosity of its users with Books (print and e-book), Journals (print and e-Journal), Magazines, Newspapers, CD’s and DVD’s. The book transaction service of the library is completely automated with RFID based technology, self-check-out kiosk, self-check-in drop box and system generated reminders. Hostels inside the campus are highly secure and well-guarded. We aspire to make the hostel a ‘home away from home’. The type of room is allocated on the first-come first serve basis and availability once the hostel fee is paid in full. Mental and physical health are crucial for holistic development. With a strong emphasis on recreation, students are provided with facilities which keeps them active, spirited, involved, and healthy. Several intramural sports events are organised where students compete in cricket, badminton, volleyball, chess etc. There are several laboratories for various subjects offered at VIT-AP School of Business. Each laboratory is well-equipped with state-of-the-art facilities, the laboratories are a place for the students to practise, experiment, and innovate. The medical needs of the students are taken care by a fully equipped Health Centre on campus along with ambulance facility. 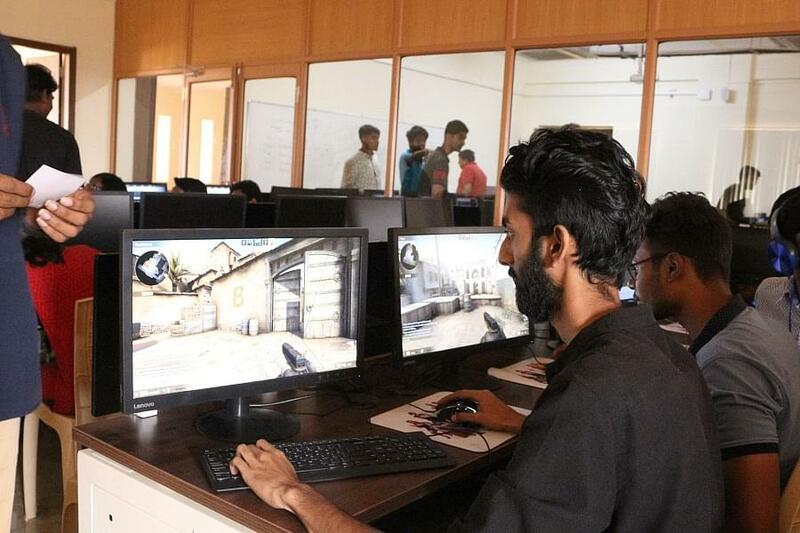 The entire campus and hostels are equipped with uninterrupted, high speed internet connections to allow students to access internet no matter where they are. 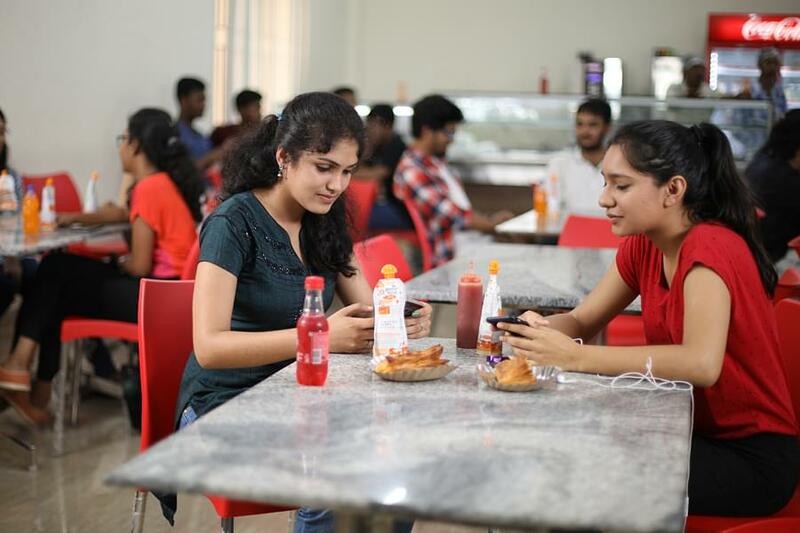 The campus has spacious canteens set up in a hygienic environment that provides quality food and caters to needs of all the students and the staff. It provides a wide variety of continental cuisine. Located in the campus our convenience store offers a variety of snacks and stationery. No bad remarks I just love this college. Faculties and placement both are too good. Satisfied with the college, and we are waiting for some more facilities. Some of the faculty seem to have little experience in the teaching field in particular and it shows in the way they conduct classes. This is a good college for engineering, and it is developing. No bad remark of this college. All faculties are good and all the facilities are good. 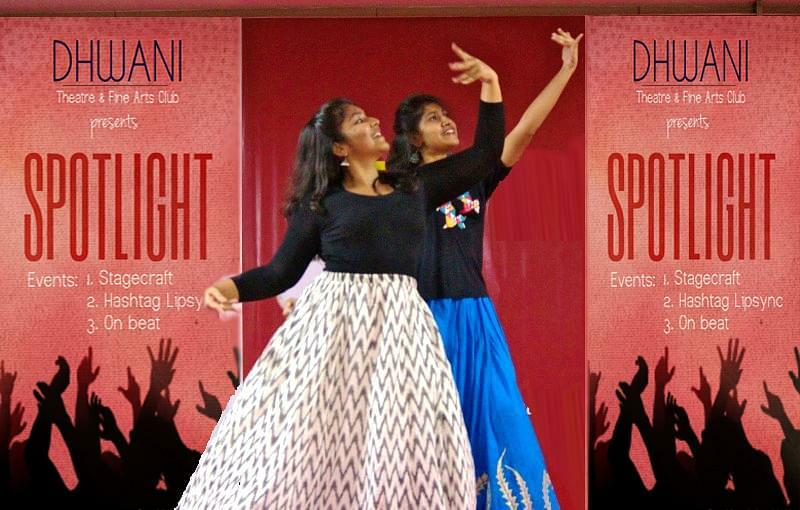 "My best experience in my best college"